The regulations in this part contain the minimum current good manufacturing practice for preparation of drug products (excluding positron emission tomography drugs) for administration to humans or animals. 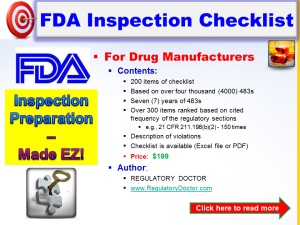 The current good manufacturing practice regulations in this chapter as they pertain to drug products; in parts 600 through 680 of this chapter, as they pertain to drugs that are also biological products for human use; and in part 1271 of this chapter, as they are applicable to drugs that are also human cells, tissues, and cellular and tissue-based products (HCT/Ps) and that are drugs (subject to review under an application submitted under section 505 of the act or under a biological product license application under section 351 of the Public Health Service Act); supplement and do not supersede the regulations in this part unless the regulations explicitly provide otherwise. In the event of a conflict between applicable regulations in this part and in other parts of this chapter, or in parts 600 through 680 of this chapter, or in part 1271 of this chapter, the regulation specifically applicable to the drug product in question shall supersede the more general. Pending consideration of a proposed exemption, published in theFederal Registerof September 29, 1978, the requirements in this part shall not be enforced for OTC drug products if the products and all their ingredients are ordinarily marketed and consumed as human foods, and which products may also fall within the legal definition of drugs by virtue of their intended use. Therefore, until further notice, regulations under part 110 of this chapter, and where applicable, parts 113 to 129 of this chapter, shall be applied in determining whether these OTC drug products that are also foods are manufactured, processed, packed, or held under current good manufacturing practice. § 211.22 – Responsibilities of quality control unit. § 211.25 – Personnel qualifications. § 211.28 – Personnel responsibilities. § 211.52 – Washing and toilet facilities. § 211.42 – Design and construction features. § 211.46 – Ventilation, air filtration, air heating and cooling. § 211.63 – Equipment design, size, and location. § 211.65 – Equipment construction. § 211.67 – Equipment cleaning and maintenance. § 211.68 – Automatic, mechanical, and electronic equipment. § 211.80 – General requirements. § 211.82 – Receipt and storage of untested components, drug product containers, and closures. § 211.84 – Testing and approval or rejection of components, drug product containers, and closures. § 211.86 – Use of approved components, drug product containers, and closures. § 211.87 – Retesting of approved components, drug product containers, and closures. § 211.89 – Rejected components, drug product containers, and closures. § 211.100 – Written procedures; deviations. § 211.101 – Charge-in of components. § 211.103 – Calculation of yield. § 211.105 – Equipment identification. § 211.110 – Sampling and testing of in-process materials and drug products. § 211.111 – Time limitations on production. § 211.113 – Control of microbiological contamination. § 211.122 – Materials examination and usage criteria. § 211.125 – Labeling issuance. § 211.130 – Packaging and labeling operations. § 211.132 – Tamper-evident packaging requirements for over-the-counter (OTC) human drug products. § 211.134 – Drug product inspection. § 211.142 – Warehousing procedures. § 211.160 – General requirements. § 211.165 – Testing and release for distribution. § 211.166 – Stability testing. § 211.167 – Special testing requirements. § 211.170 – Reserve samples. § 211.173 – Laboratory animals. § 211.180 – General requirements. § 211.182 – Equipment cleaning and use log. § 211.184 – Component, drug product container, closure, and labeling records. § 211.186 – Master production and control records. § 211.188 – Batch production and control records. § 211.192 – Production record review. § 211.194 – Laboratory records. § 211.196 – Distribution records. § 211.204 – Returned drug products. § 211.208 – Drug product salvaging.